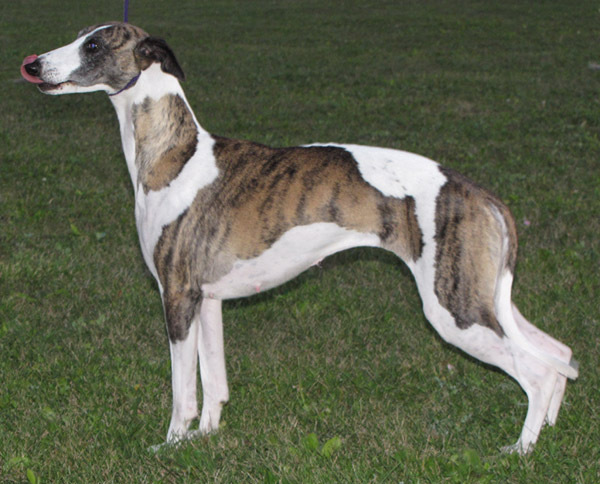 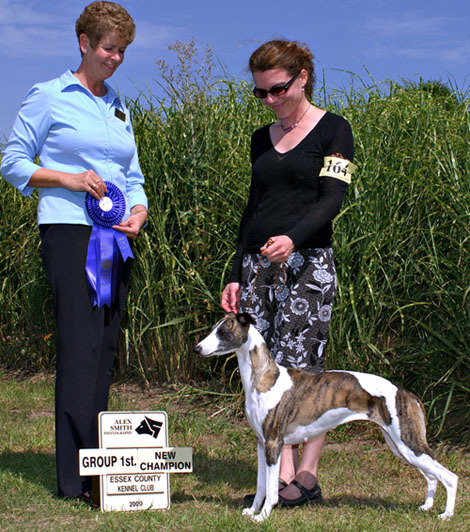 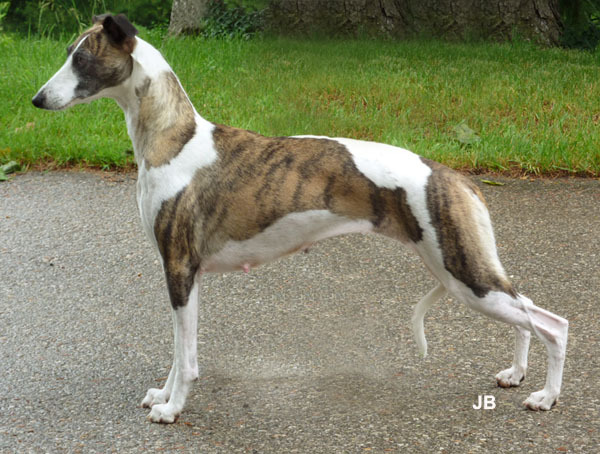 Photo below: Sept 2009, Poti finishes her Canadian championship with a bang, winning Hound Group 1st under Janet Lobb!! 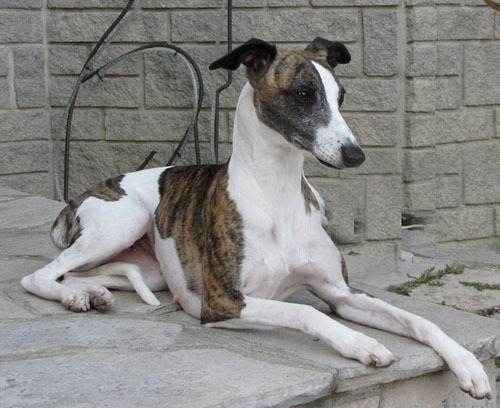 Apparently Poti was a hair to win BIS!! 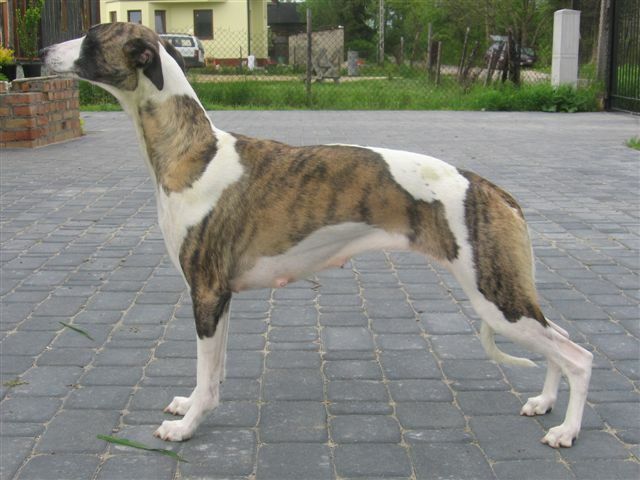 We are so proud of her and it will be very hard to let her go back to Poland..
Photo below: Poti in Poland a few weeks after her first litter. 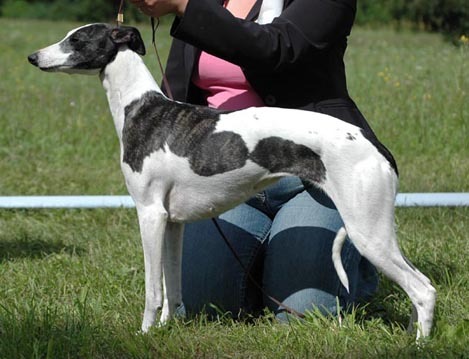 Photo below: Poti's mother "Pol.Ch. 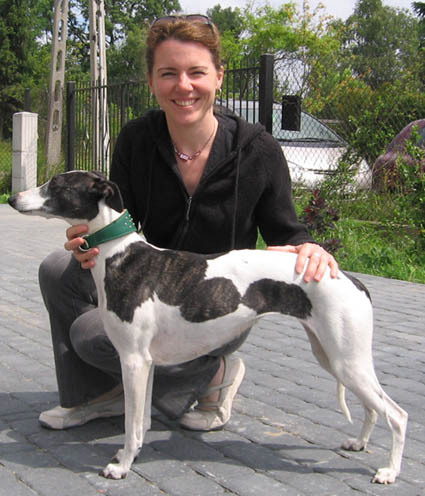 Barnesmore Hocus Pocus" pictured with Joanne while in Poland, summer 2008.